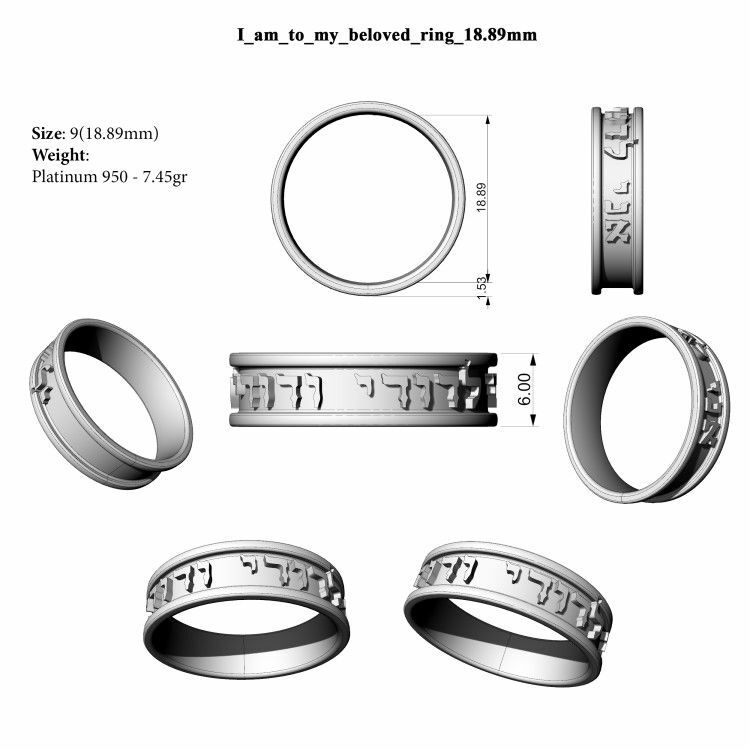 Yolanda got in touch about making an hebrew “I Am My Beloved And My Beloved Is Mine” ring for her fiance, Leonard. 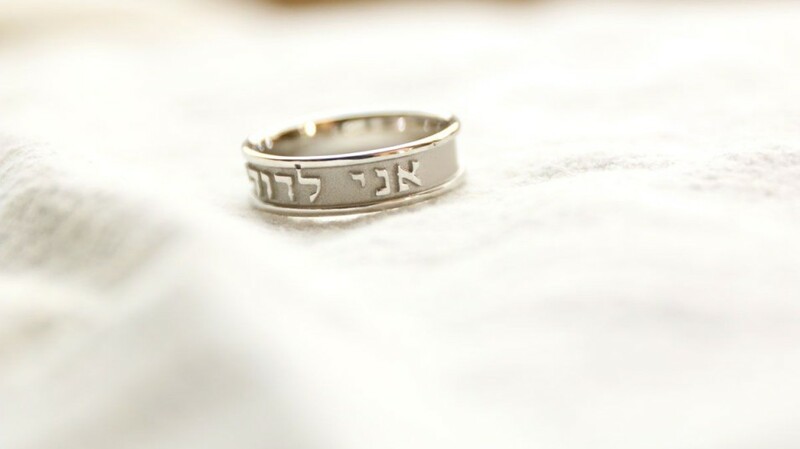 She wanted it in platinum with raised letters, a brushed texture in the middle of the ring and a polished rim framing it. It was a fairly smooth process. 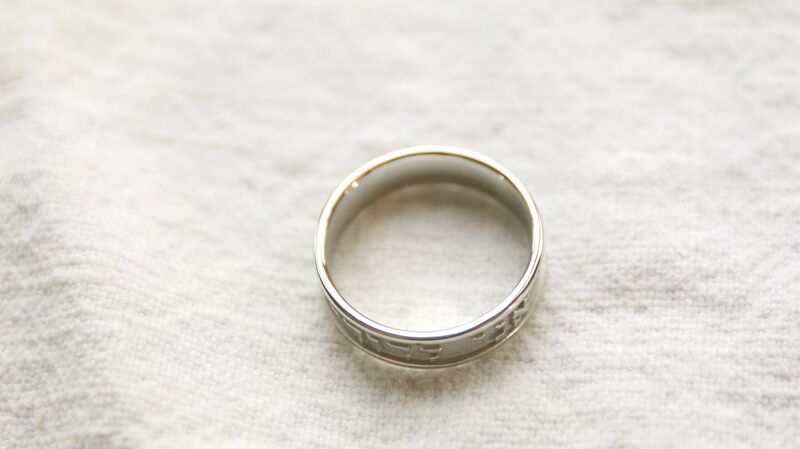 The only hitch was she was hoping for a 5mm band, but we had to make it 6mm for the lettering to work. We added as little additional width as possible to make it work with the lettering. We enjoyed working with you too, Yolanda! We’ll post a making of Yolanda’s ring when it’s complete!